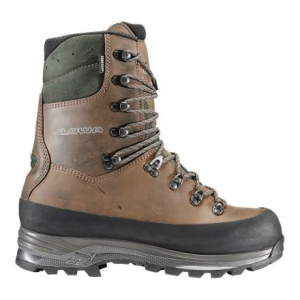 Scarpa Footwear R-Evolution GTX Backpacking Boot - Men's Titanium/Grasshopper 44. SCARPA's Sock-Fit DV uses a stretch Schoeller material that provides a snug fit (memory foam too) but breathes well. The speed lace hardware and 1.8mm suede upper tighten progressively delivering unparalleled comfort. Men's and women's versions for blissful fit and function. 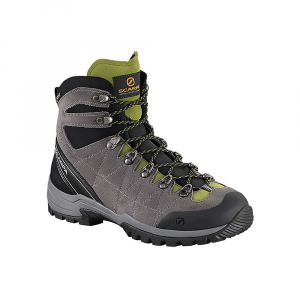 Optimal support meets lightweight comfort with the R Revolution GTX backpacking boots. 1.8 mm suede upper. 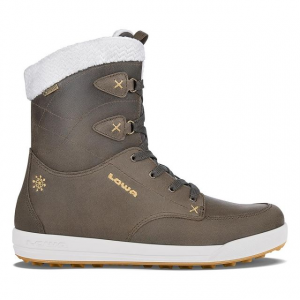 Gore-Tex Performance Comfort membrane protects against rain, water and light snow. Traditional lace closure. TPU toe cap. Sock-fit DV construction provides lightweight, bulk-free support. R-evolution EVA midsole. 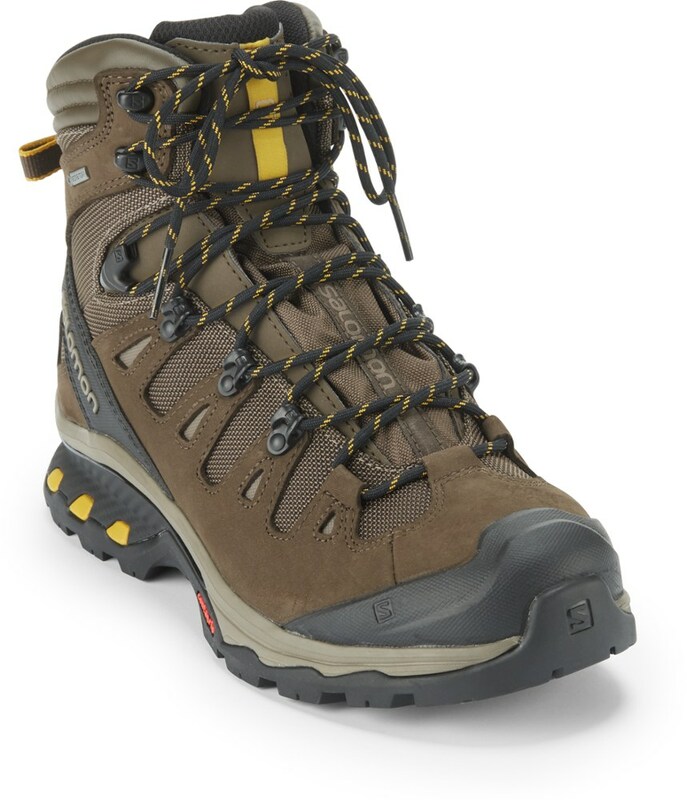 Vibram Driade outsole provides optimal traction on a variety of terrain. 1 lb. 4 oz. total weight per shoe. 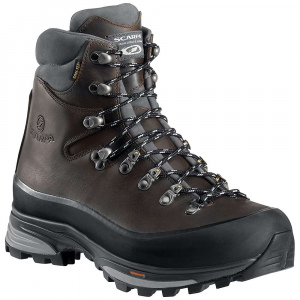 Whether your hammering out a new best time on that 14er in your home range or packing light on a week long trip through the Wind Rivers, the Scarpa Men's R-Evolution GTX Backpacking Boot will carry you over miles of rugged terrain with minimal weight and plenty of support. 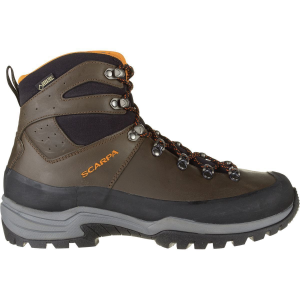 Blending the comfort of a lightweight hiker with the support of an alpine boot, Scarpa's Sock-Fit DV construction uses both Schoeller stretch material and memory foam to deliver a snug and comfortable fit that still delivers support for hiking with a heavy pack. In addition to being durable, the suede upper will tighten progressively (think approach shoe) for a sweet blend of comfort and traction. 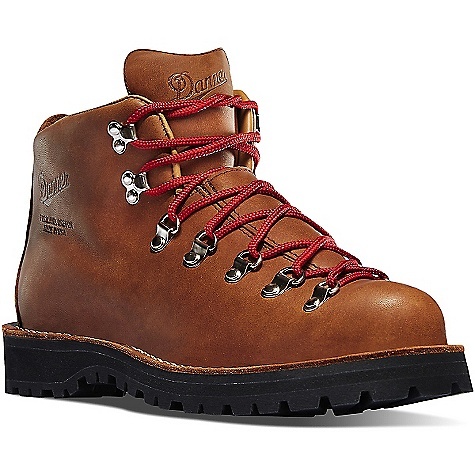 A Gore-Tex membrane sweetens the deal even more by delivering waterproof, breathable performance, and the Revolution EVA midsole helps cradle your feet over miles of rock-strewn moraines.